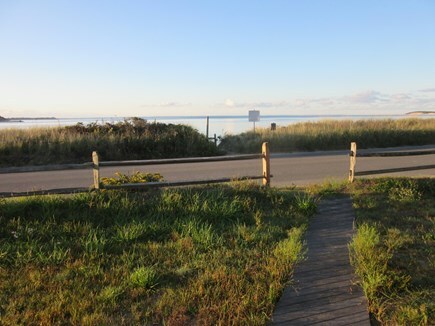 Just steps from your front door to Mayo Beach! Great location across from Mayo Beach! 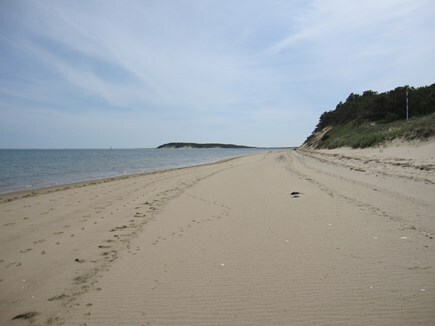 Great sandy south-facing for swimming, boating, exploring. 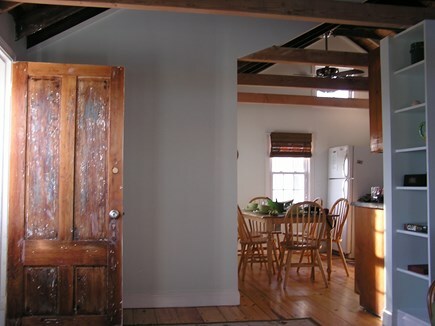 This renovated cottage still retains its 'Olde Cape Cod' charm with original wood floors, an open layout, and exposed beam ceilings. Kitchen has full-sized appliances and all necessary cooking equipment. Bathroom has a ceramic tiled floor with a shower - no tub. 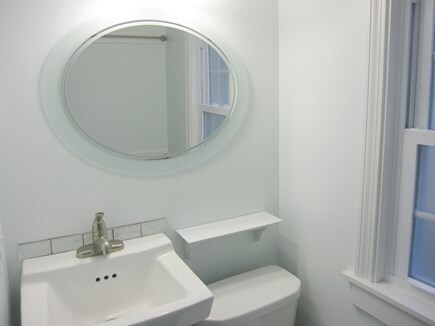 2nd bathroom is en suite with a washer/dryer. Outdoor shower in the rear. 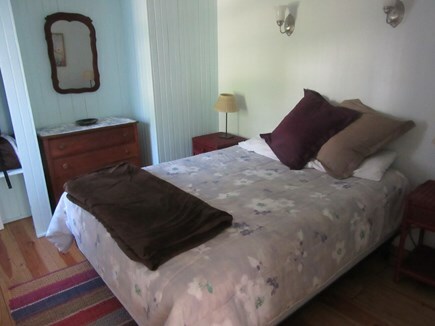 One bedroom has a Queen bed. One bedroom has a Full bed. 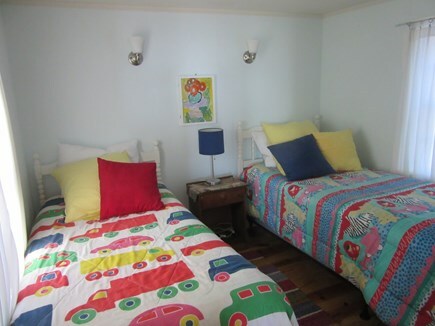 One bedroom has 2 Twin beds. 2 Kayaks are included. 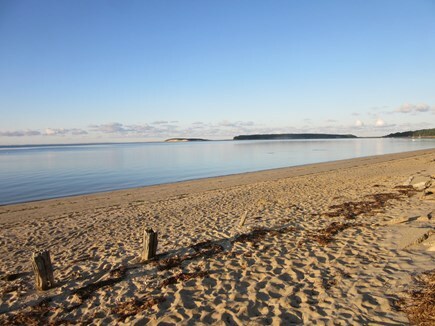 Guests are encouraged to explore the Cape Cod National Seashore - a 20 minute kayak ride. High tide - great swimming. Low tide - time to explore. Great place for young children! Additional pricing info: Discounts for multiple weeks, small groups, and returning renters. State and local taxes of 12.45% will apply. All located on the ground floor. 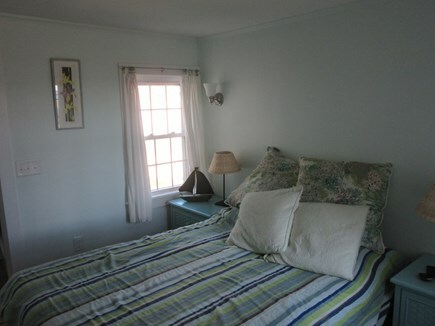 Old Salt is a wonderful place to stay in Wellfleet! 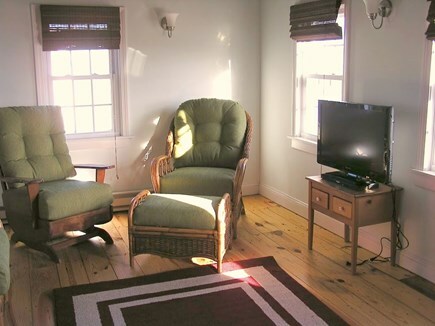 It has the charm of an old Cape house but is completely renovated inside. It's light, bright, airy and immaculate. You can't beat the location, steps from Mayo Beach and s short walk to downtown Wellfleet where you can find lovely shops and restaurants. Biking, kayaking, walking the beaches, oystering are all fun things that we enjoy every time we go! 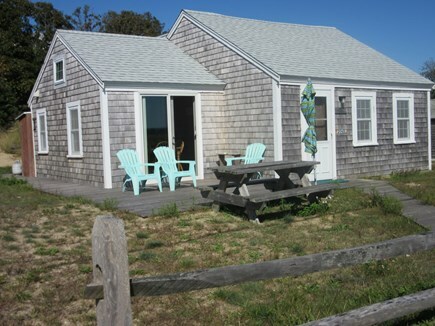 Our annual vacation in Wellfleet, at Old Salt Cottage, was amazing! 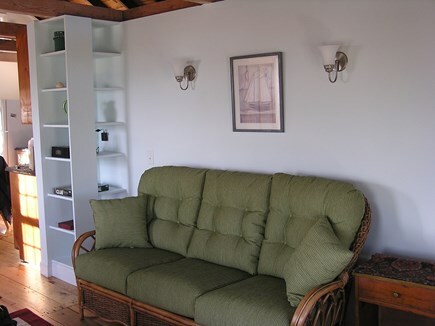 The cottage was beautifully maintained, and the location of the cottage is priceless! Hearing the peaceful waters on the bay every night was wonderful. 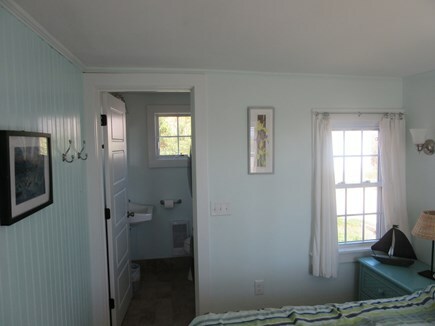 The cottage is in walking distance to great dining, galleries and shops, along with the incredible scenery of Mayo beach. 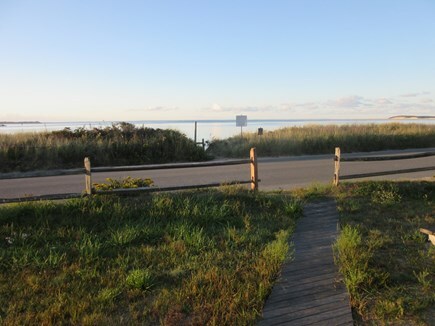 We loved enjoying our coffee on the deck first thing in the morning and watching the sunset on the bay at night! Thank you for having us!!! I couldn’t ask for more. I’ve been there several times and look forward to going again. What a great place. It has everything you need , is quiet and private but is close to the town and all the great venues of the area. Kayaking paddle boarding biking walking hiking swimming and just hanging out. Everything you need is here in this little gem. 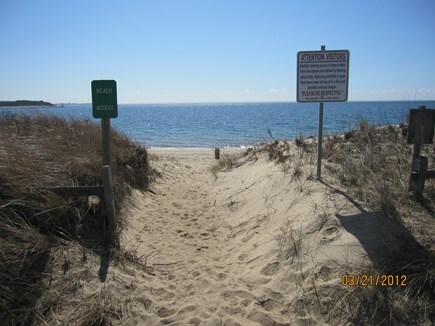 Beach access is across the street. Nice flT water for kayaking and restaurants and shops are within walking distance. Hi, my name is Isaac Shub. 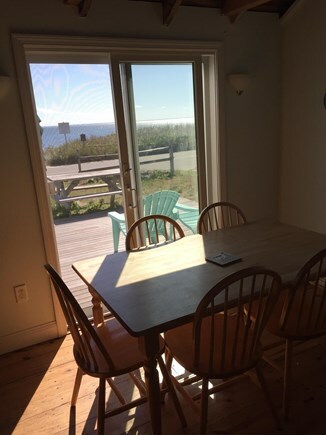 My parents, Laurie Bridger and Rob Shub, purchased Old Salt Cottage in 2010, and renovated it, eventually adding a sliding glass door leading right from the kitchen to a beautiful wooden deck, and an additional bathroom attached to the master bedroom.